Mefjus & Emperor return with the second instalment of their Hello World series. 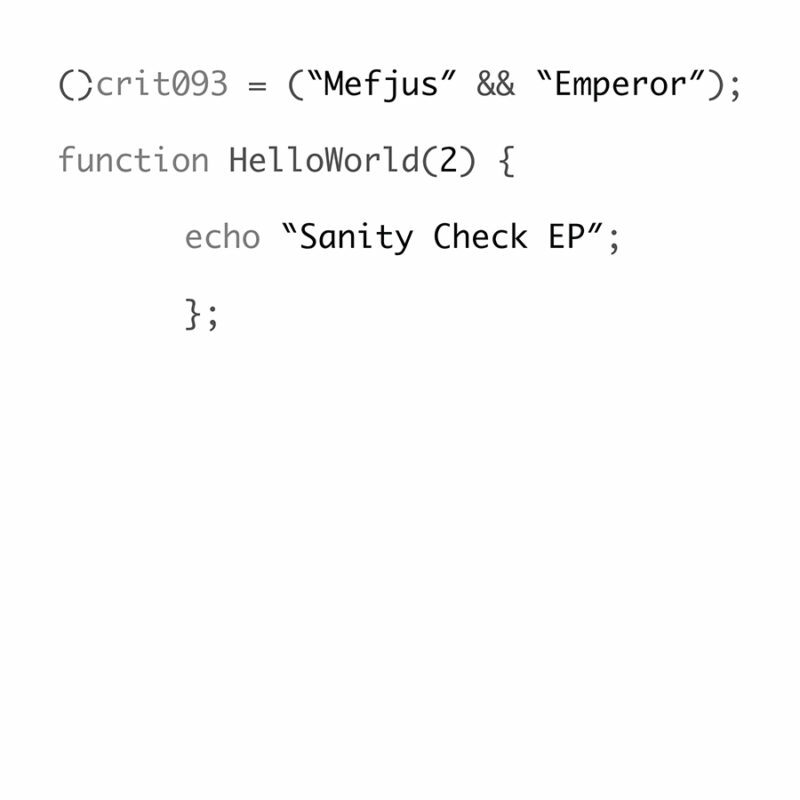 Sanity Check EP (Hello World 2). As with the first edition the duo provide 2 blistering slices of dance floor funk as well as taking on a remix of each others original material. Precision engineering at its finest.